You use a knife to cook? This class will make it the opposite: cook because you want to cut with it.You can learn Japanese style kitchen knife sharpening technique you can use at home. With a sharp knife, cooking become suddenly pleasurable and dishes will be more delicious! 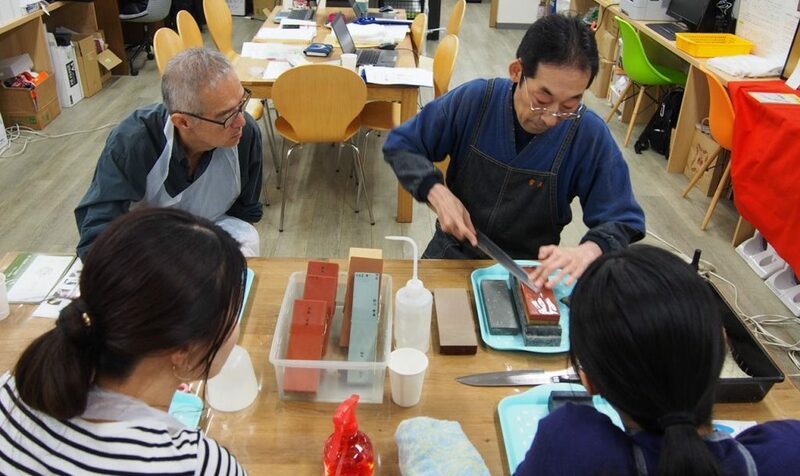 At Awataguchi where has strong relation with knife and sword in Kyoto, a craftsman from Tsuneshin ”常真” will give a lesson in easy-to-understand and friendly way! Class is held in Japanese only, but you can easily follow the process. There have been many Japanese sword craftsmen at Awataguchi in Kyoto, such as Munechika Sanjo who is famous for making treasured sword called “Kogitsunemaru” for Ichijo Emperor and “Mikazuki” for the house of Tokugawa. 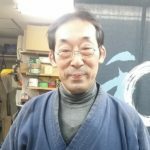 Owning a knife sharpening specialty shop at this historical place, Mr. Iwayama has sharpened more than 150 million knives in 23 years! He sharpens from knife to scissors and his customers are from individuals to restaurants. For application, please access following website of Shirakawa Community Living Company and check the details. Copyright © 2019 京郷インターナショナル All rights Reserved.